What is Dynamic DNS (DDNS)? -and Why Use It? Dynamic DNS keeps DNS records automatically up to date when an IP address changes. Dynamic DNS is used in large networks that host internal services, and use their own internal DNS and DHCP servers. However small companies, and home networks don’t normally have their own DNS server so why would they need Dynamic DNS ? In this tutorial we look at how dynamic DNS works and how to set it up. Why Use Dynamic DNS and How It Works? 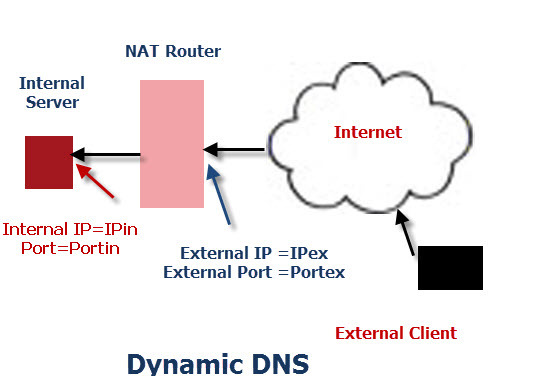 Dynamic DNS Services are used by small companies and individuals when they want to publish a service on the Internet, and it is hosted within an internal network that uses a NAT router to connect to the internet. In the following discussion we are going to assume that we want to make a web server located on an internal server available on the internet. The Internal IP address is assigned to the internal server by the NAT router, but usually in these circumstances we will give it a static internal IP address. To make the web service available on the internet we use a technique called port forwarding ( see the port forwarding and Internal vs external IP address articles for details). Now our web server appears to our external client to be located at IPex and on port Portex. All we need now do is to tell our external client to use these values. However the external IP address IPex (81.157.34.43) may also be dynamically assigned by the ISP, and we cannot make it static unless we pay for a static address. In addition, the external client has to remember the IP address. 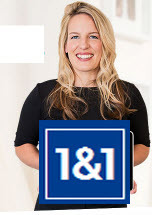 If we now introduce a Dynamic DNS service into the picture. With Dynamic DNS we assign the web server a name which we can then give to external clients. –This name is fixed. We then assign the external IP address to the name. Now because this external IP address will change periodically we will need to update the DNS record periodically. We could of course do this manually, but that would be very unreliable. Instead the ability to automatically update the DNS server records is built into most NAT routers. Here is a screen shot of the Dynamic DNS configuration page of my NAT router (BT Home Hub). The configuration involves entering the name of your DDNS provider and your login details. When you apply it you should get a connected confirmation. If you get username/password incorrect check you login details and retry. 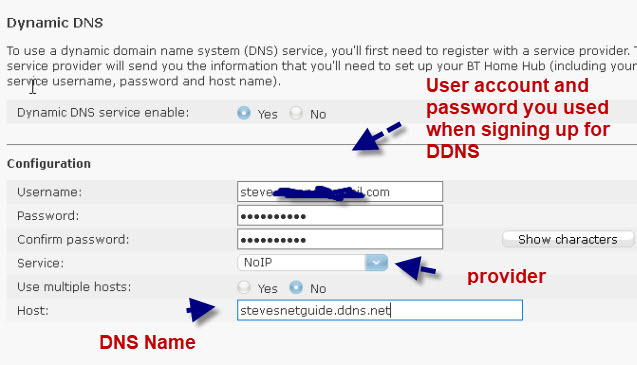 Before you can enable Dynamic DNS you will need an account from a DDNS provider. There are several providers available. Most provide a free service with a premium upgrade. Here is a 1and 1 review of DDNS providers. The main providers all work in a similar way and the registration process is simple.This article uses NO-IP. You will need to create a hostname for the IP address and select from one of the available domain names provided by the provider. Dynamic DNS (DDNS) Not Supported! If your router doesn’t support DDNS updates you can get a DDNS client that you install on a machine that does the same job. The only problem with this approach is that the machine needs to be constantly running. Go to the ping command and test that you can access the IP address by pinging the domain name. Although it is used by gamers and tech Geeks it is probably going to see more widespread adoption in remote security/surveillance and control areas. Q-What is the difference between dynamic DNS and DNS? A- Dynamic DNS is a feature of DNS. Early DNS systems were static and the IP addresses and name mapping were entered manually. Dynamic DNS updates the Name- IP mappings automatically. Q- How do I find my external IP address? 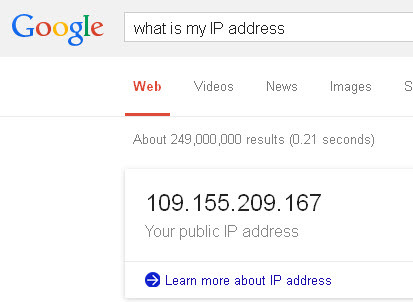 A- Go to Google an type what’s my IP address. Dynamic DNS (DDNS) is very useful if you need to access internal network services from across the Internet. It isn’t designed for hosting a business website, for that you will need standard web hosting.